For our final my group, Alan, Xiping, and I, created projection of the Washington Square Arch that can be wiped away by hand to reveal newer images using the programs Isadora and Leap Motion with Processing code. As you wipe away the older image to reveal the new, sounds play that correspond to the time of the photographs. Starting with a projection of the arch in the 1880’s when horse drawn buggies would drive right through the park to current day when the sounds of the city are much different. What we hoped to reveal is how much history architecture can hold. The “real world” is to a large extent unconsciously built up in the language habits of the group… We see and hear and otherwise experience very largely as we do because the language habits of our community predispose certain choices of interpretation. Explore how people’s cultural backgrounds affect their most basic cognitive processes: categorization, learning, causal reasoning and even attention and perception. an image of a face or something else appears only when the smoke is there. smoke and mirrors : (definition) the obscuring or embellishing of the truth of a situation with misleading or irrelevant information. create a temporary piece of art that is destroyed at the end. Projection mapping, 3D projection mapping? Immersive interactive experience where a person walks into small space and invited to interact briefly with an object in the dark. They have to say outloud what they think the object they just interacted with was but if they get anything wrong the space around them tightens physically and a flash of light (playing on “gaslighting”) goes off. The more they get wrong the more annoyances happen. (could be something obvious too, for example, bringing someone into a small space and asking them to explain something like a red apple in as many words as they can, and slowly we can tell them they’re wrong in a lot of different ways using noise and light). Long-Term Memory. Declarative (Explicit) and Procedural (Implicit) Memory. Episodic and Semantic Memory. Retrospective and Prospective Memory. How to create a false memory in the audience? As you can see from our notes, our ideas were a bit scattered and needed some honing in on. 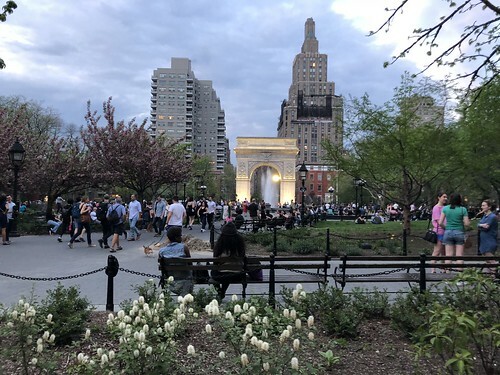 We really wanted to convey the concept of memory and I think our chosen subject of the Washington Square Arch decisively developed the direction toward retrospective memory as a result. 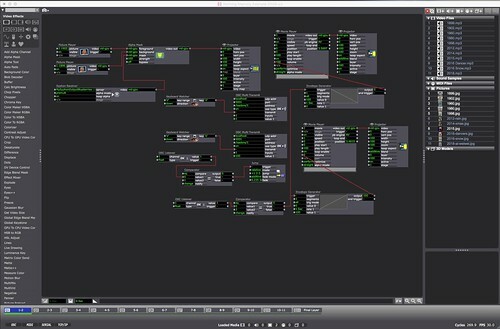 The execution of the project consisted of writing the code for Processing and initiating OSC within Isadora in order connect our code. Leap Motion was also included as a library in order to work properly within our Processing script. 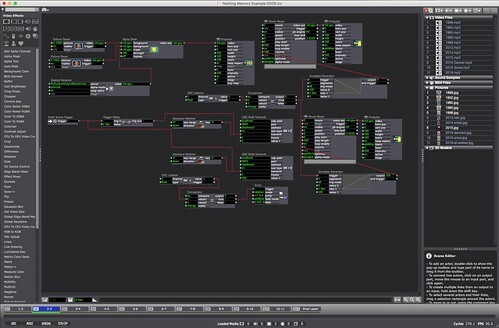 Using two envelope generators in Isadora, that were set up to trigger every time a key press was initiated, we manually had to press “s” and 3″ in order to change the scenes and to switch the audio tracks correspondingly. Coding and programming aside, there was a bit of editing work involved too. All of the photos, videos, and sounds were found online through archival libraries and simple searches and then edited in Adobe Creative Cloud. //Set at 1 which we can say means draw. //This line is needed for older versions of Processing. to put "canvas." before any drawing call. So let's set a black background on our canvas. //I set the fill's alpha to 80. //A bit of a feather effect. //hitting 'b' restores our background.